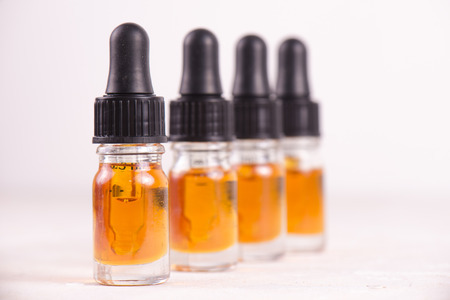 Though millions of people across the country have discovered the benefits of CBD oil and the various ways it can improve their quality of life, it is not every day you hear stories of how a natural, safe alternative or addition to pharmaceutical drugs actually saves lives. One very lucky little girl with a very rare brain tumor is still alive today thanks to the powers of CBD oil. Sophie Ryan, who is a bubbly and happy five-year-old today, was not quite as bubbly as a baby. At just eight and a half months old, Sophie was diagnosed with a very rare and dangerous brain tumor that had wrapped itself around her optic nerve, threatening her eyesight. Tracy and Josh Ryan, Sophie’s parents, were advised by their team of healthcare providers that the only treatment for Sophie was chemotherapy, which is a very common treatment for cancerous tumors, but one that is poisonous and causes a variety of side effects that range from hair loss and severe nausea to death in some patients. Though Tracy and Josh did agree to start Sophie on chemotherapy, Tracy took it upon herself to start researching the benefits of CBD oil in pediatric cancer. She read numerous studies and, after much contemplation and a discussion with Sophie’s team of oncologists, decided to start giving Sophie CBD oil in addition to her chemotherapy treatments. While Tracy and Sophie’s healthcare team weren’t incredibly sure what to expect, the results were startling. After 13 months of treatment with chemotherapy and CBD oil, Sophie’s dangerous tumor, which had once threatened to blind her, had shrunk by an astonishing 85%. At this point, Sophie no longer needed regular blood transfusions to stay healthy, which represented a major change in her life. Tracy and Josh claim that the only side effect Sophie experienced as a result of utilizing CBD oil alongside her chemotherapy was some sleepiness, but this went away as Sophie’s body acclimated to the oil. Sophie is now five years old, and she is still being dosed with CBD oil regularly. Her tumor has not regrown, and the only continued side effect of the oil itself is hunger, which Tracy claims is a miracle and a win-win situation for Sophie. Her chemotherapy treatments, which occur weekly, can make her very sick and completely eliminate her appetite. With the use of CBD oil, Sophie still has a healthy appetite despite her treatments, which helps her maintain a healthy bodyweight, thus boosting her immune system and allowing her body to better fight the tumor in her brain. Though there’s no denying how beneficial CBD oil can be for various medical conditions and their symptoms, there has been very little research on the benefits of CBD oil for pediatric cancer. Thanks to Tracy, Josh, and little Sophie Ryan, the entire medical industry is now intrigued by the idea of using CBD oil to help shrink tumors, all the while reducing the symptoms caused by chemotherapy.